Emotional Freedom Technique - is a meridian energy therapy - just like acupuncture. It works directly on the meridian system in the body, but instead of using needles, you stimulate the major meridian points by tapping on them or massaging them lightly. Reiki is a natural healing energy activated by intention. It works at every level, not just physical, to promote the body's regenerative natural healing ability. Hypnotherapy is used to influence the subconscious in order to bring about beneficial changes in feelings and behaviour. Past Life Regression Therapy treatments are a form of hypnotherapy. Through deep relaxation and guided imagery, you will be guided into memories of other lifetimes, which usually contain important information relevant to help you in your current lifetime. 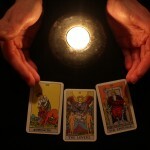 This age old method of divination offers great insights into the past, present and future, and choices which are open to you. Hello, I’m Gail from Aldridge, West Midlands. I’m a highly trained clinical hypnotherapist; Past Life Regression Therapist; E.F.T. 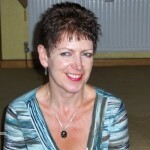 and Emotrance Practitioner; Reiki Master/teacher and Tarot Reader, who has helped many people over the years.